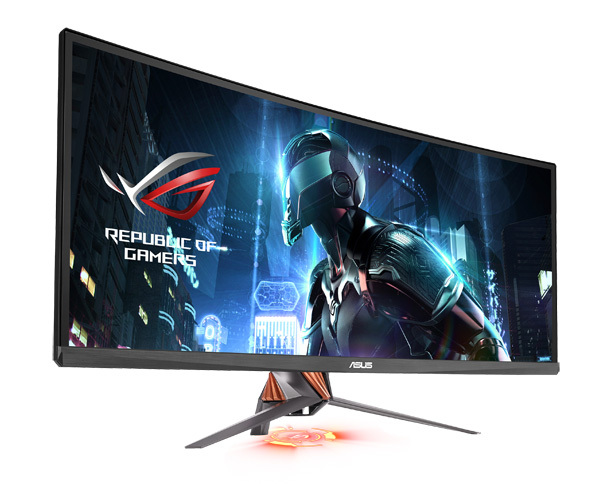 Kuala Lumpur (2 September 2016) — ASUS Republic of Gamers (ROG) today announced ROG Swift PG348Q, a 34-inch Ultra-Wide QHD (3440 x 1440) curved monitor with a 21:9 aspect ratio for panoramic gaming. The 2016 CES Innovation Award-winning Swift PG348Q has a frameless design, and features the new ROG Armor Titanium and Plasma Copper color scheme and built-in LED effects. In addition, Swift PG348Q features a 100Hz fresh rate and NVIDIA® G-SYNC™ technology to give users incredibly smooth and fast gameplay. 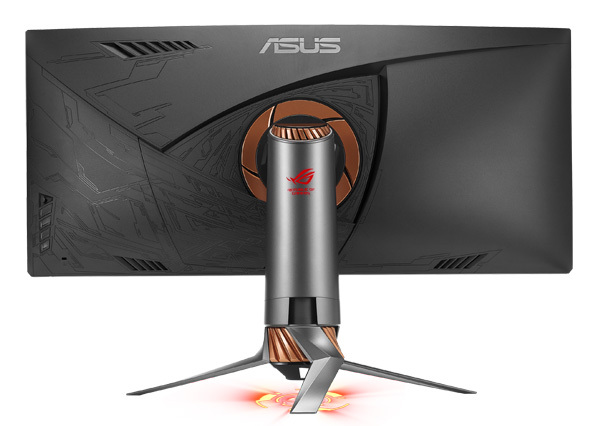 Swift PG348Q will be available from May, and joins the 27-inch ROG Swift displays (PG278Q and PG279Q) to diversify the ROG gaming monitor line-up as ASUS looks to strengthen its position as a worldwide leader in the high-end gaming monitor market. ROG Swift PG348Q is a 34-inch gaming monitor with an Ultra-Wide QHD (3440 x 1440) panel that gives users highly detailed visuals and more onscreen space than WQHD monitors. Its ultra-wide 21:9 aspect curved display provides an immersive panoramic gaming experience. The panel curvature of the display ensures every point is equidistant to the user’s eyes to ensure a comfortable viewing experience during marathon gaming sessions. Swift PG348Q takes gaming aesthetics to a new level, and recently won the 2016 CES Innovation Award. It has a frameless design, sports the new ROG Armor Titanium and Plasma Copper color scheme, and features ROG light effects built-into its stand add ambience to gaming set-ups. Swift PG348Q features NVIDIA G-SYNC technology to eliminate screen tearing, minimize stuttering, and reduce input lag; it also has a Turbo key to overclock the refresh rate up to 100Hz for incredibly-smooth gaming gameplay. ASUS-exclusive GamePlus and GameVisual technologies to enhance the gaming experience. Swift PG348Q has an ergonomically designed stand with full tilt, swivel, and height adjustment so gamers can find their preferred viewing position. ROG Swift PG348Q comes with the TÜV Rheinland-certified ASUS Ultra-low Blue Light filters and Flicker-Free technologies to minimize eyestrain and protect users from harmful blue light. ASUS gaming monitors are at the forefront of display technology and ROG Swift PG348Q joins the 27-inch ROG Swift displays (PG278Q and PG279Q) to diversify the ROG gaming monitor line-up. These displays provide cinematic visuals and exceptional refresh rates to suit the needs of different types of gamers.